My children ADORE this time of year. 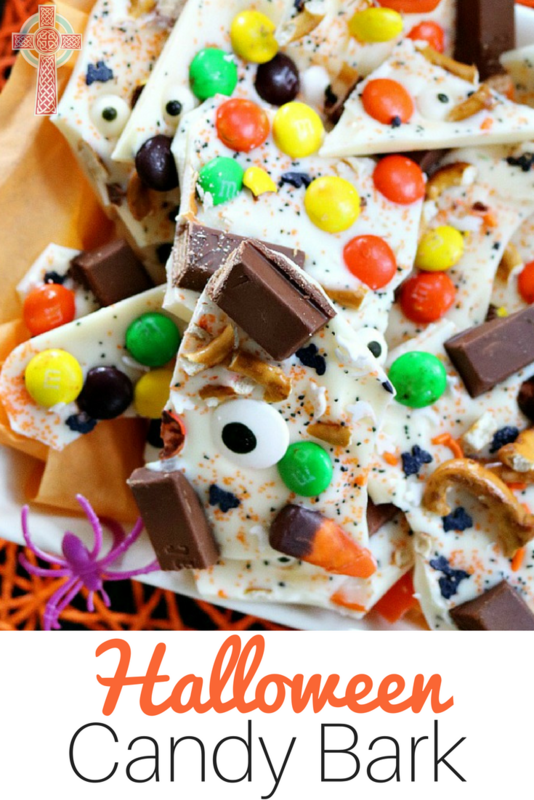 We’re prepping for Halloween festivities, and getting ready for All Saints Day celebrations, too. 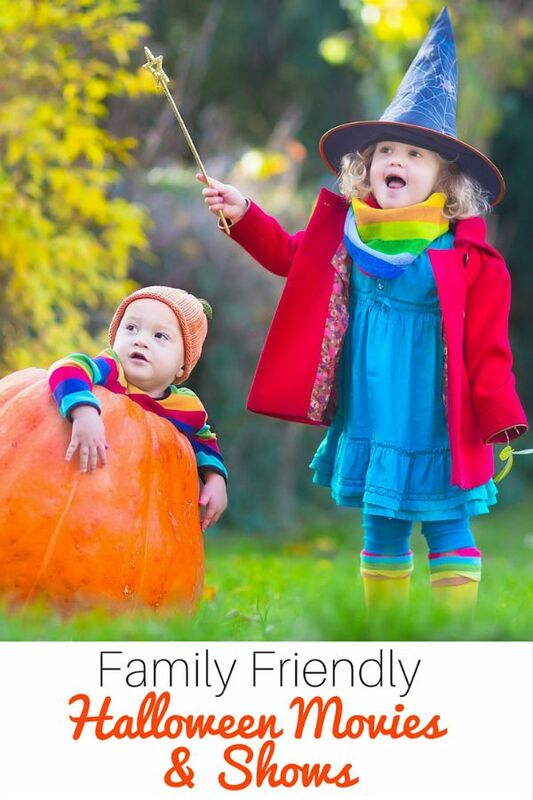 You’ll find us visiting our local Halloween parties and gatherings, but my kids are just as excited about dressing up as their favorite saints and sharing stories with their friends. Never fear, overwhelmed momma. I’ve got you covered, with the help (and speedy delivery) of Amazon. These costumes will be at your door in plenty of time for fall festivals and the All Saints Day parties at your parish. 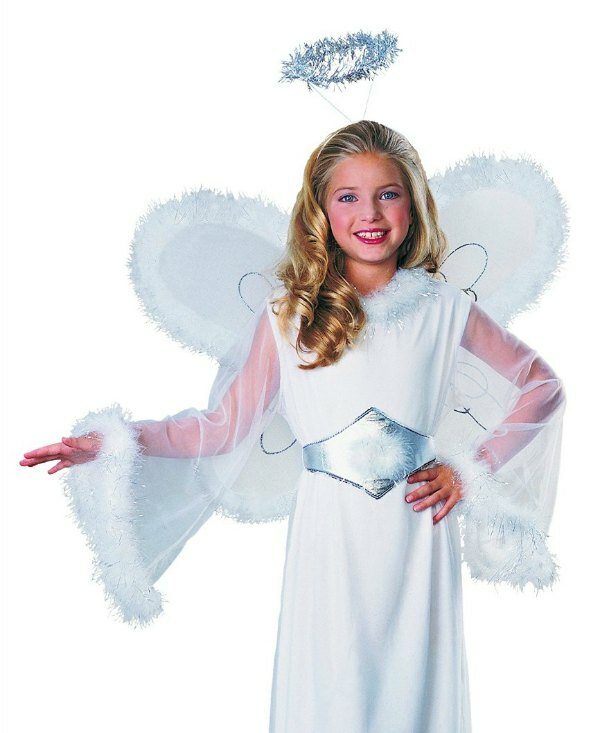 It will be easy to portray St Gabriel, St Raphael, or even St Michael with these sweet angel costumes. 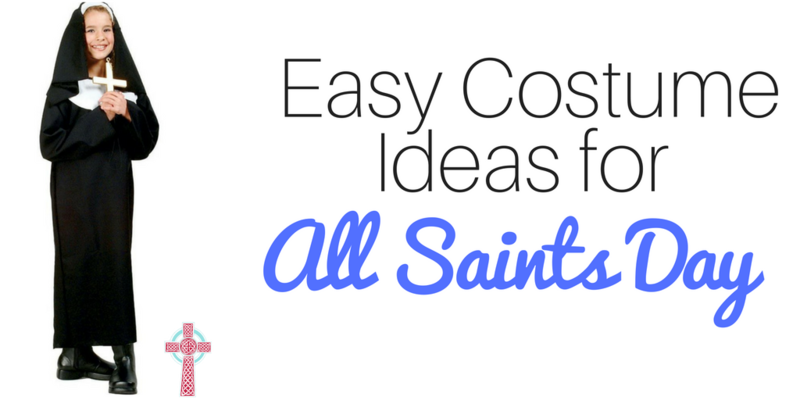 Many of our beloved saints were sisters, so a basic nun costume is an excellent place to start. If you can find a brown nun’s costume, then you could choose St Clare, St Therese of Liseux, or St Theresa of Avila. Struggling to find an All Saints’ Day costume for your boys? Start with a priest or a monk costume, then add on the extras. A basic priest costume would be the perfect start for saint priests like St Maximilian Kolbe, St John Bosco, St Francis Xavier or even St Martin De Porres. 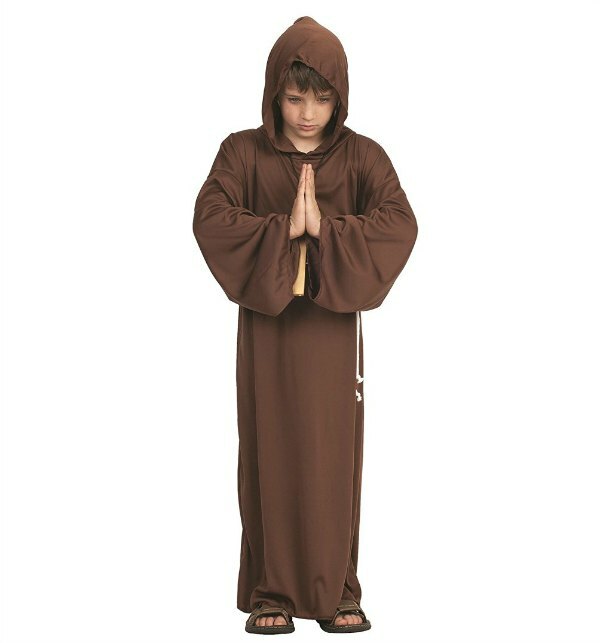 This brown monk robe can be transformed into St Francis of Assisi, St Anthony, or St Padre Pio. Who doesn’t love a knight’s costume? 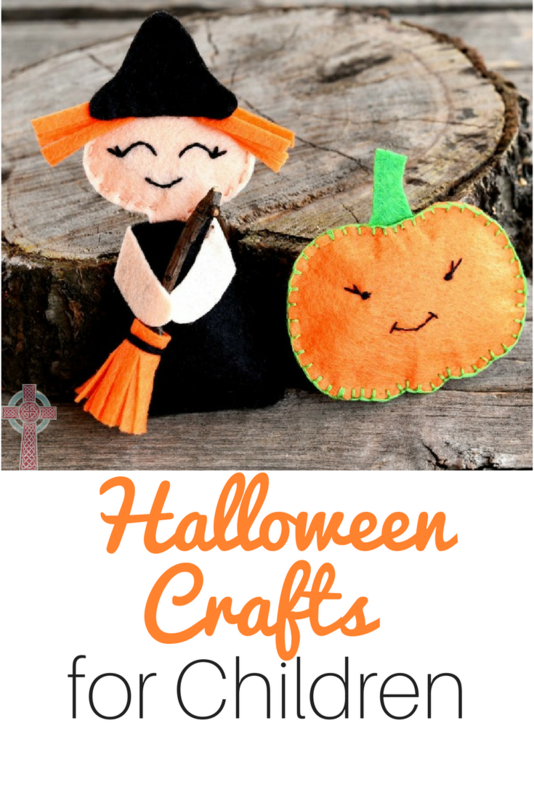 These are perfect for everyday play, as well as All Saints’ Day. Saint ideas for this costume: Saint George, Saint Michael or Saint Joan of Arc. 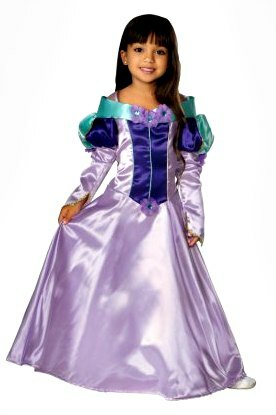 Your daughters will be thrilled to know that there’s a large selections of saints who were princesses and queens. 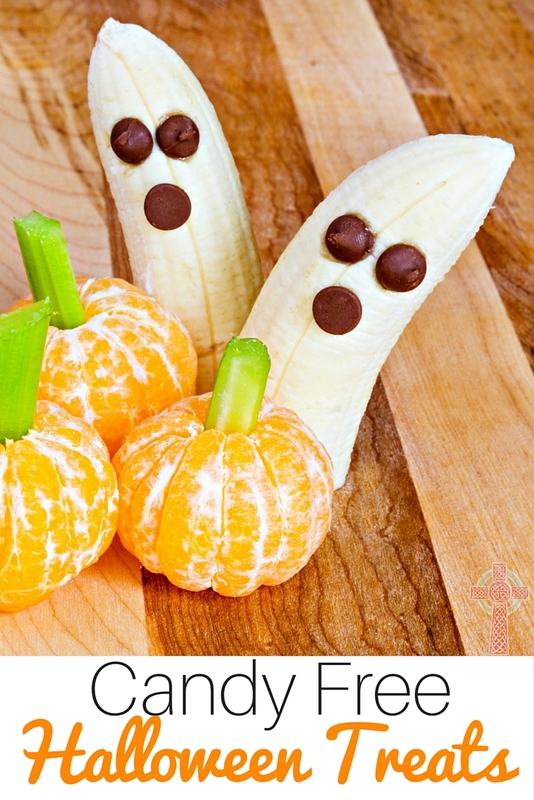 You may already have some costumes in your closet to help you get started. Have sons who want to dress as a royal saint? Never fear. They can dress up as St Louis of France, St Edward, or St David of Wales. 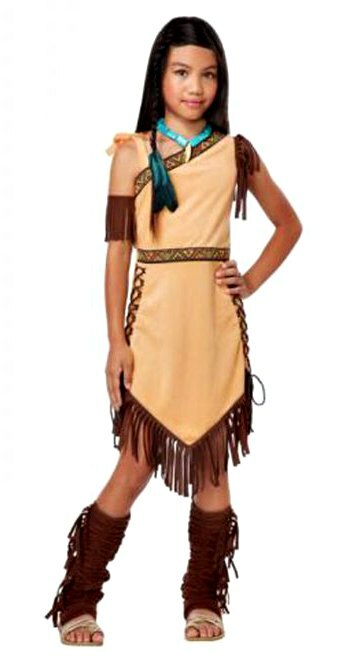 Personally, I think dressing up as St Kateri sounds like so much fun — this costume makes it easy! Don’t overlook soldier saints for All Saints’ Day celebrations, too. This set would be wonderful for St Martin of Tours. Want to dress up as an apostle, or early Christian saint? These costumes would work beautifully. Honor Our Lady with this Mary costume. This shepherd costume works well for St Joseph, or any of the apostles. One of my favorite saints is St Thomas More. 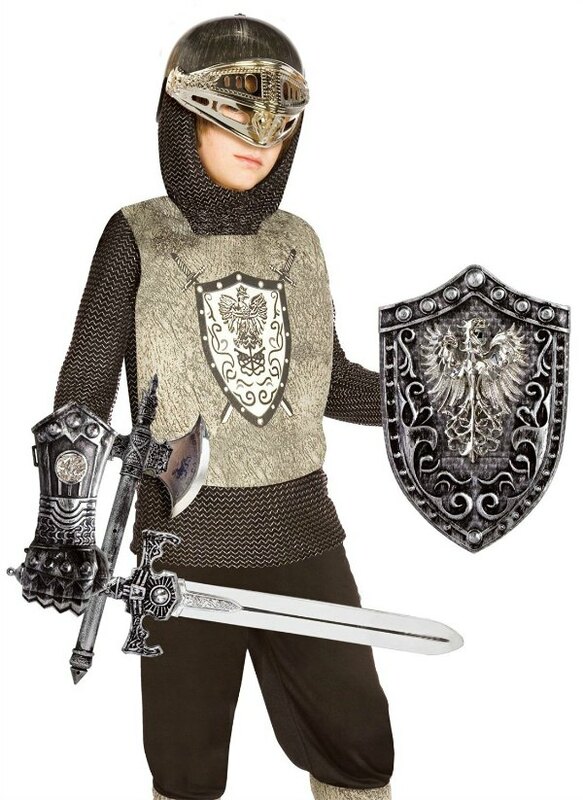 Pick up this costume for your son for All Saints’ Day! Have a child who’s an aspiring doctor? 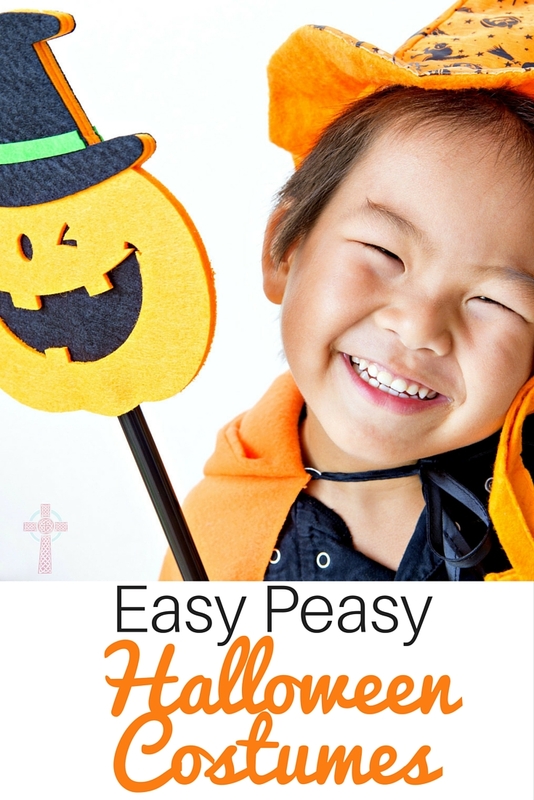 This simple costume is perfect for depicting St Gianna or St Rene Goupil. 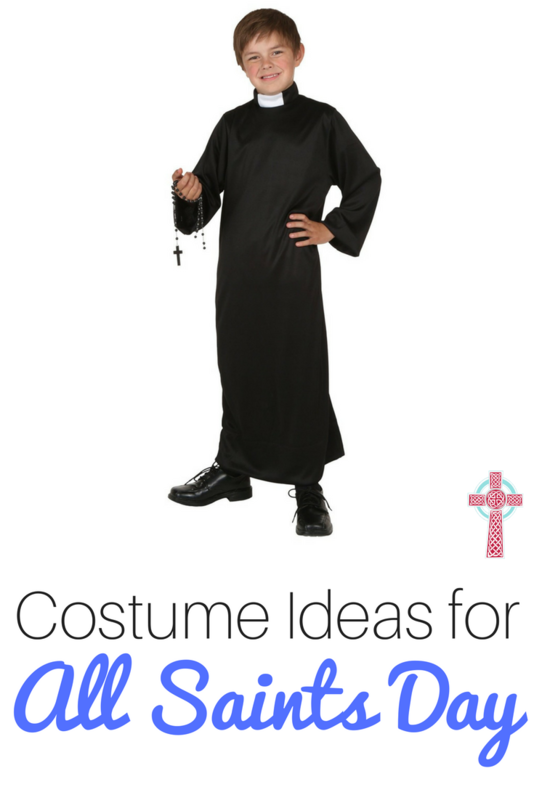 What costume will you be using for your Catholic children? I’d love to hear your ideas!